Just wanna inform you that on the 10th of July my first and only show will be sent here on Afterhours.fm. 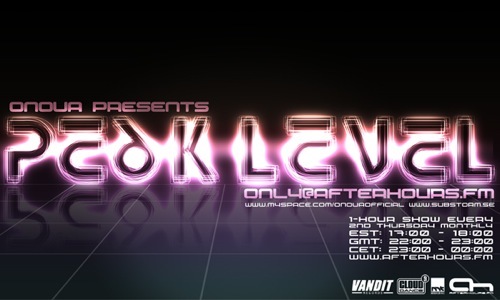 The show is called Peak Lever and will bring you some of the latest most upfliting and energetic trance and progressive around atm, but also featuring some of the most classic "peak time" trancers from the past with the "Peak Time Classic". Also every show will feature "Peoples Peak Pick" which you listners will be able to wote on after every show in the "polls" forum. The show will be sent every 2nd thursday every month and is a 1 hour mix.